Do you want to download free music for your iPod to enjoy wonderful songs? There really are some legal ways to download free music files without worrying about piracy for your reach. 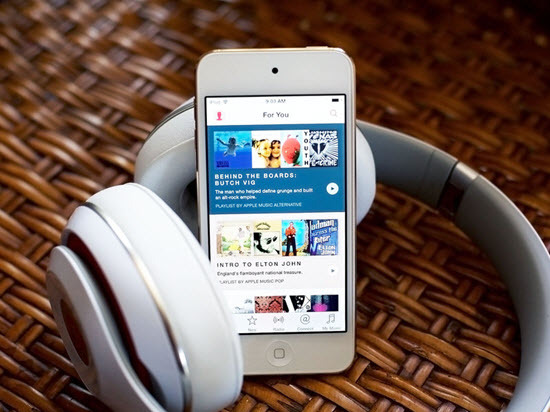 In this article, we will provide a list of top 4 ways to download free music for your iPod. The techniques described on this article to download free music are compatible with iOS 10, iOS 11 and even the latest iOS 12. Moreover, you can download free songs using any of the iPod Touch, iPod shuffle, iPod Nano and much more. Tips: If you lost any data like video or photo from iPod or iPhone, you can always use Jihosoft iPhone Data Recovery to get it back from iOS device easily. 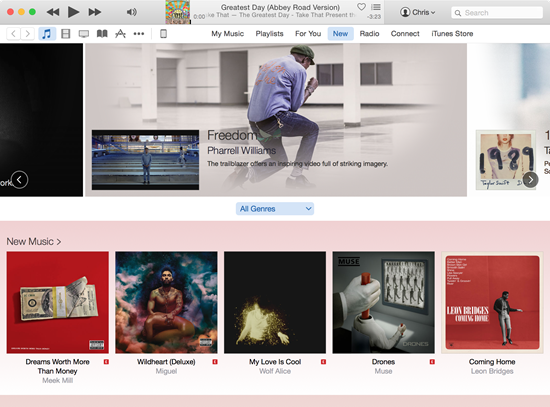 iTunes enables you to download free songs produced by several artists globally. You can navigate to the relevant section of the iTunes Store every week to fetch free songs from time to time, and then import them to iPod. Alternatively, you can use a coupon code or apply an iTunes gift card to download free iPod music from iTunes. To download free iPod music, you can also make use of some dedicated music apps for iOS platform. Spotify is a music streaming service available in 65 regions. The service provides DRM-protected content from record labels. You will be able to experience an enhanced streaming quality and other features by opting for paid package. Deezer enables you to listen a wide range of music content from several recorded labels such as Sony Music, Warner Music, and Universal Music. The music service has 53 million licensed tracks with 30,000 radio channels. Deezer is compatible with Android, iOS, BlackBerry, MacOS including Windows Mobile. With Deezer, you can listen to pre-defined playlists or create your own playlists. The app enables you to explore channels for a wide range of genres or moods including the ability to access audiobooks, podcasts and free Internet radio stations. The app doesn’t include any ads or interruptions. And it is possible to import your favourite MP3 files with improved sound enhancements. It also can stream songs via Apple Watch or Apple Carplay. Alternatively, you can also checkout 8tracks.com, which is an online music streaming service. It streams user-curated playlists of 8 tracks. The service includes a subscription to 8 tracks and will cost $25 for 6 months. Besides iTunes and some music apps, the Internet is flooded with free music websites with content produced by several artists as well. 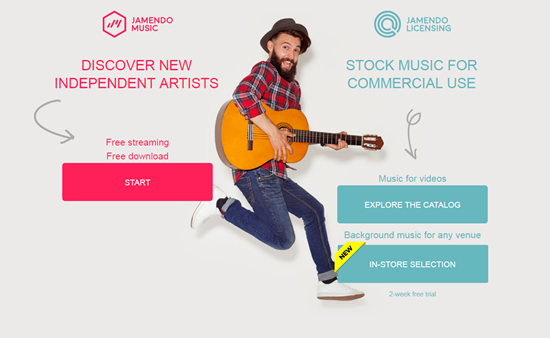 Jamendo, includes over 7000 albums, which can be downloaded free of cost. It is possible to review, share your favroite iPod songs, and donate to the artists. SoundClick, features more than 2 million full-length tracks in addition to the free ones to download. PureVolume, contains songs produced by over 400,000 artists. You can listen and download for iPod without charge. 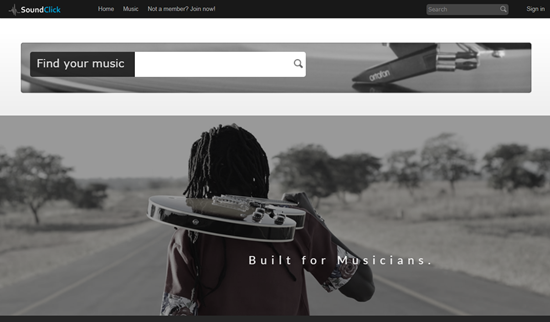 BeSonic, provides more than 12000 songs that are available free of cost. The search module enables you to locate the songs you wish to download. You will find plenty of free music resources on several third-party websites from where you can download iPod Music legally. The Apple iPod has been considered an undisputed king of digital music and entertainment. The iPod is still the most popular music player despite the rapid evolution of smartphones and gadgets. However, several manufacturers have released digital music players as an alternative to the iPod. You now can make use of a wide range of digital music players to enjoy music. In this section, we will provide 5 good digital music players alternative to iPod. Astell & Kern Kann is equipped with 64GB expandable internal storage with support for TIDAL streaming using Bluetooth. The player is capable of delivering 15 hours of standby time via USB-C and Micro USB with DAC sounding support. The Aurender A10 ships with 4TB storage capacity with a 120GB solid-state drive for playback caching. The player also includes an additional expansion using which you can attach a Network Attached Storage (NAS) device via the Gigabit Ethernet port. The player also includes an IR remote with the ability to adjust volume using a front panel knob. The premium audio quality is delivered by dual 768KHz/32bit Next Generation Flagship AK4490 DAC Chips. The dedicated USB Audio output make use of an Ultra-Low-Noise Power Circuitry coupled with four individual toroidal power transformers. Sony Walkman NWZ-ZX2 is pre-loaded with Android Jelly Bean. The player provides support for Wi-Fi including the ability to run third-party apps such as Tidal. The default internal storage of 128GB with expansion capability is more than enough to burn thousands of songs. Moreover, the player also delivers a standby time of 30 hours with support for S-Master HX digital AMP. The problem with the player is its inability to use high-power headphones. Astell & Kern AK240 provides 256GB storage with support for Wi-Fi and Bluetooth. The music player is designed with angled corners and slanted edges carved out of duralumin. The addition of high-fidelity drivers will eliminate noise and distortion. HiFiMan HM-901 is a music player hat can modify the internal amp module depending on the situation. It is possible to modify the hardware based on your requirements. You can control volume using a high-end step attenuator backed by an external low-gain/high-gain switch. The player is manufactured by using a combination of faux leather and plastic components, which gives a robust look and feel. Moreover, the player lacks a touch screen. And the HM-901 makes use of a proprietary port instead of the standard port for transferring files. With Apple iPod, you will be able to listen to music without any annoying notifications. The web is scattered with free music tracks and you can use them with your iPod. However, locating free music tracks for your iPod is a tedious job. We have provided you with the relevant ways by which you can download free songs for your iPod. We hope you will make use of the above techniques to simplify your life style. If you have any question or suggestion, welcome to leave a comment below.